Eventually, there comes a time when every HVAC system starts acting up. Whether it’s making a hiss or some other type of noise, blowing warm or inconsistent air, or causing your home to suffer from intermittent power outages, when these things occur, you’ll need to know how to find the best HVAC professional to service your system. Make sure the company you choose to deal with has great references. This will ensure that they are trustworthy, which is why most companies are more than happy to give you a list of their references. You’ll want experienced professionals who have been in business for a while because longevity equals trustworthiness. However, longevity alone isn’t enough. The professional you hire also needs to know how to work on your HVAC system for when there’s specialized experience or knowledge necessary. Don’t be afraid to ask to see the company’s credentials, licenses, certifications and memberships. This tells you that they’re knowledgeable about equipment installation, repair and maintenance. Furthermore, make sure that they’re properly insured to protect everyone if an injury or other type of damage occurs. 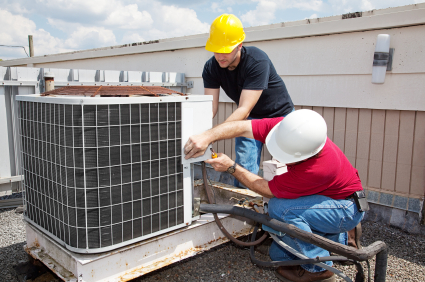 Now that you know what to look for in a qualified HVAC company, we invite you to contact us. You’ll find that we not only meet these standards but that we also far exceed them. So, the next time your system needs some work, please contact us online. We’re more than happy to help you at any time of the day or night. Thank You Ellis County for voting us #1!